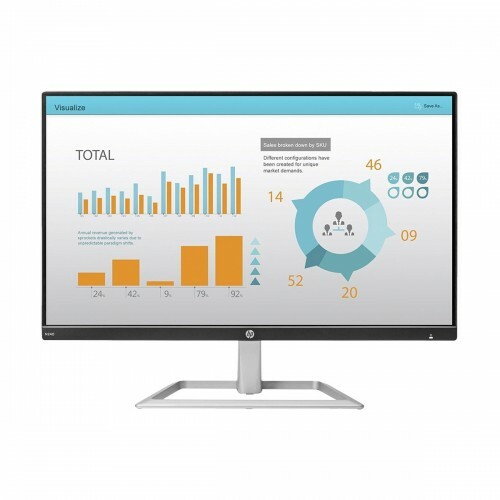 HP N240 23.8 inch Full HD LED Monitor is built in 1920x1080 (WxH) Full HD diplay resolution with 250cd/m2 Brightness and 1000:1 (Static), 5000000:1 (Dynamic) Contrast ratio with 178 degree (H & V) Viewing Angle. In this monitor White LED backlights, Arsenic-free display glass, Low halogen, Mercury-free display backlighting are added. 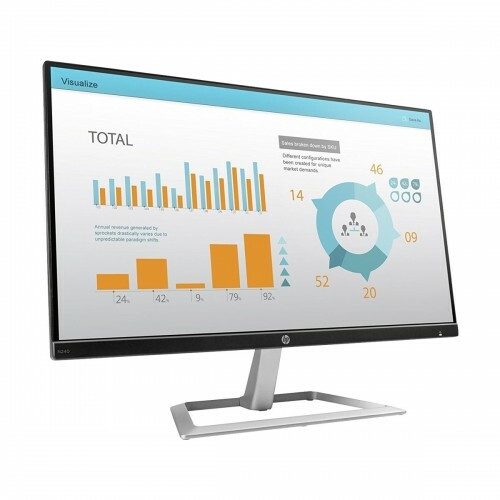 The HP N240 23.8 monitor has some specific feature Panel active area is 52.7 x 29.64 cm, Aspect ratio is 16:9, Pixel pitch is 0.274 mm, Anti-glare, In plane switching, LED Backlights, Language selection, On-screen controls, Plug and Play, User programmable.This monitor has -5° to 22° vertical Tilt, 6500K Color Temperature, 60Hz Refresh Rate, (1)VGA with 1.5 m (4.92 ft) cable.This exclusive HP monitor provides 03 years of warranty.